EU governments’ representatives in the Economic and Financial Committee, an advisory group of the EU Council, met yesterday. They agreed with the Commission that Italy’s budget does not comply with the debt-to-GDP criterion of the Stability and Growth Pact. 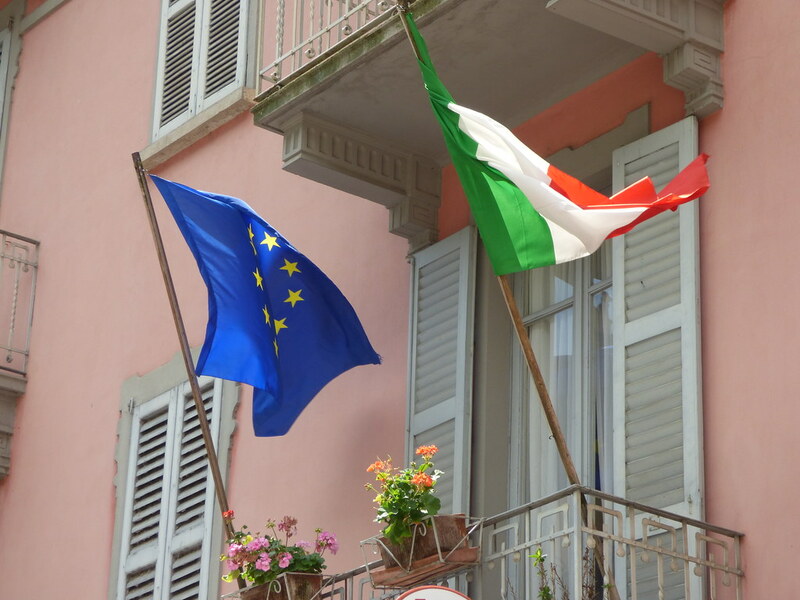 The EU sherpas said that an excessive deficit procedure against Rome “is thus warranted.” The Committee considered an “aggravating factor” the fact that the Italian government has submitted a revised plan confirming the same previous budget targets. “I believe that we must continue the dialogue with the EU on the budget law without, however, betraying the Italian people,” said Italian Deputy Prime Minister Luigi Di Maio. Di Maio added that he can understand the European institutions are disoriented by a method which goes against the trend of the past. “This is a method that we want to apply to reduce debt since the method of past governments increased public debt,” he said. A fortnight before Britain’s parliament votes on the divorce deal, US President Donald Trump has twice dismissed British Prime Minister Theresa May’s plan, handing the equivalent of a loaded gun to her opponents. Trump’s diagnosis is at least half right – Britain would indeed be unable, for now, to strike a trade bargain with the US – but he has deeper motives for his unfriendliness towards the leader of America’s closest ally: Trump’s British friends all happen to be May’s enemies. If you were to draw a transatlantic Venn diagram of the overlap between alleged Russian influence over the UK Leave campaign and Trump’s victory, Nigel Farage would take up most of the shaded area. Then there is Arron Banks, the wealthy Brexiter, and former Foreign Secretary Boris Johnson. Trump’s other motive is mercantilist. The EU is too big to push around, as its economy is larger than that of the US. Trump’s best hope of breaking Europe’s opposition to US regulatory standards is to strike a separate deal with Britain. America First works best when other countries also go it alone. Germany is approaching a watershed moment. Since 1949, the country has had only eight chancellors, which means that Angela Merkel’s departure will be anything but an everyday occurrence. Moreover, a change at the top in Germany is usually accompanied by broader political and social change. The world’s economic center of gravity is quickly shifting from the North Atlantic to East Asia. These and other developments have shaken Germany’s once-firm foreign-policy footing. For years, the country’s economic model and security strategy have both centered around integration with the West and Germany’s role within the EU. But today’s challenges require a new strategic outlook. Wherever Germany is heading, one thing is already clear: the transition from Merkel to her successor will bring about a far-reaching reorganization of the country’s party system. The SPD has lost so much support that it may not survive; and while the CDU/CSU is still the strongest single force in German politics, it is facing a deep structural challenge. Merkel will be remembered as the chancellor of the “peace dividend” and, possibly, as the last chancellor of the post-war (West) German party system. But Europe’s persistent crisis will now form part of her legacy as well, and it will pose a difficult challenge to her successors. A new report, released by the London-based Conflict Armament Research organization, highlights how a vast global supply chain of arms exporters and companies spanning Europe, Asia, and Africa have sustained South Sudan’s five-year civil war, and paints a forensic picture of how international arms embargoes were thwarted. In one instance detailed in the report, a network of companies run by US, British, Israeli, and Ugandan nationals shipped a US military jet and Austrian-made surveillance aircraft to the South Sudanese military in 2015 and 2016 in a likely violation of US arms export controls. In another instance, two offshore companies registered in the Seychelles brokered ammunition shipments from Romania via Slovakia through Uganda to South Sudan in 2014 and 2015. The EU imposed an arms embargo on South Sudan in 2011, and the UN Security Council followed suit this July. In each case, the report stresses there is no evidence the US or European governments were aware these shipments were being re-transferred to South Sudan. In September, South Sudanese President Salva Kiir and opposition leaders signed a power-sharing peace deal to bring about an end to the conflict, but policymakers in Washington are deeply skeptical the deal will stick, or that South Sudan can emerge from the conflict as a stable and functioning state.